Pic Lisa Ferguson 08/04/2109 foster carers Linda and Mark from Gorebridge. Linda and Mark from Gorebridge, TACT Scotland carers since 2017, have revealed how much satisfaction they get from fostering. TACT (The Adolescent and Children’s Trust) is celebrating 10 years of a presence in Scotland. The couple started fostering with TACT two years ago and for over a year now they have been caring for three brothers and sisters and have witnessed some fantastic, positive changes in these children. Mark said: “After our youngest son and his fiancé moved out of our family home, we suddenly found ourselves in a big empty house. “With the combination of our experience of raising two sons and Linda’s role as a local authority nursing officer working with underprivileged children and their parents, we felt ready and qualified to look into fostering. “Our friends were already fostering with TACT and highly recommended the charity, so we didn’t have to look any further. “The application process was thorough, but the social worker, who looked after our application, made it as easy as possible by explaining the process to us step by step, and offering us fantastic support. We were approved as foster carers in April 2017. “We welcomed our first foster child just two weeks later. It was quite a day, as it coincided with me starting a new work position, meaning I had to be working away from home for a few days, and then returning home to a nine-year-old! “Two weeks later, he was joined by his little sister who had been living with different foster carers until then. In her work Linda has witnessed several sibling groups being separated and placed into different homes, and was therefore aware of the negative effect this might have on the children. “We wanted to stop that from happening to our foster son and his sister, so we decided to offer a loving home to both of them. After seven months their parent’s circumstances changed, and the children were able to go back to their family home. The couple spoke about the satisfaction of helping children get on the right path. Linda said: “For over a year now we have been caring for three brothers and sisters aged five, 10 and 12. “As these children came from a chaotic home life, we had to face some very challenging behaviour, especially from one of the brothers. “This was truly difficult for us, but we stuck by this confused little boy, and from one day to another his behaviour changed. He is now a new person. “We believe providing him with structure and realistic boundaries, and keeping calm, made a difference. We gave him a place where he feels safe and we have managed to build trust with him and his brother and sister. “Once you build trust with these children, you can start to motivate and encourage them, which we certainly do regarding working hard in school and pursuing their personal dreams. “Watching these children develop has been amazing. We have witnessed so many positive changes from learning manners, becoming confident enough to eat their lunch with other children in a dining room, finding friends and becoming a part of the community, to physical changes. Linda and Mark are delighted to have made the choice to become foster parents, revealing that it has also had a positive impact on their family. 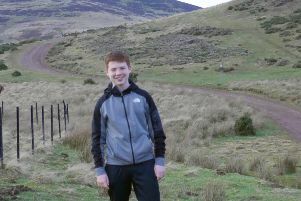 Mark said: “Fostering hasn’t only changed our lives; our birth sons have been very involved too. “They enjoy little things like playing games and football with the boys, but also supporting the children in anything they might need. Our youngest son has recently become a father and the baby initially provoked some jealousy from our foster children. The couple hope more local people become foster parents and experience the benefits they have. Linda said: “We would advise people, who are thinking about fostering not to think for too long. If you have a spare room in your house and your heart, go for it and start the application process. “There is a lot to learn from the process that will help you make the decision - not only from the professionals but also from experienced foster carers. TACT is the UK’s largest fostering and adoption charity and is always on the lookout for foster carers and adopters. Find out more at www.tactcare.org.uk.